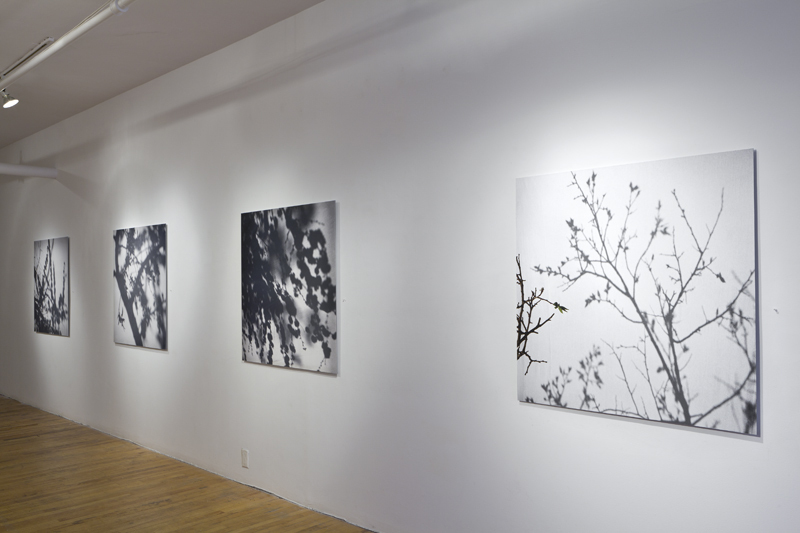 Galerie Trois Points celebrates the season’s opening in showcasing the very new body of work by Russian-born photographer Olga Chagaoutdinova. From August 25th until October 1st, Chagaoutdinova’s series In The Time Of Sakura will bring a touch of exoticism to the gallery. 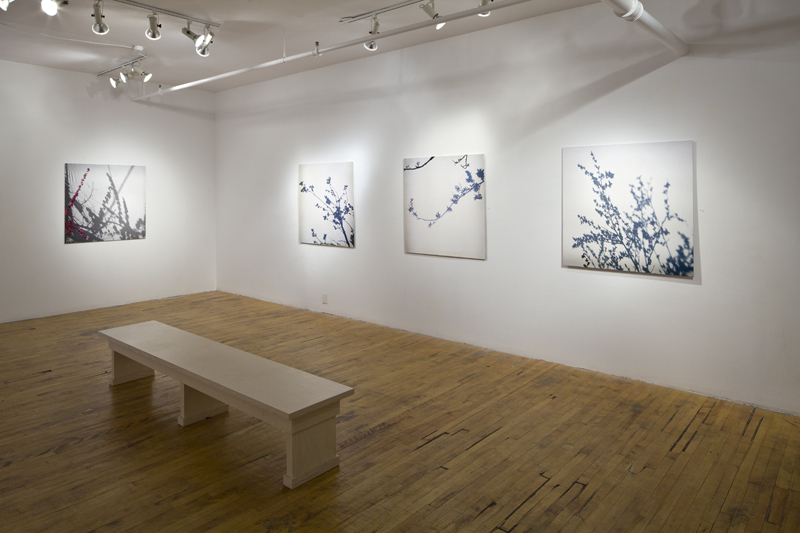 This new body of works originates from her visit to her Eastern Russia homeland in the spring of 2011 and immortalizes the brief blossoming season of sakuras, those ornamental Japanese cherry blossoms that grow in this part of Russia, on the borders of China and Japan. If these flowers are a very strong symbol of the ephemeral nature of life for the Japanese, they are also very connoted within the artist’s family history. Chagaoutdinova’s practice is strongly marked by history, both of her country and her family. 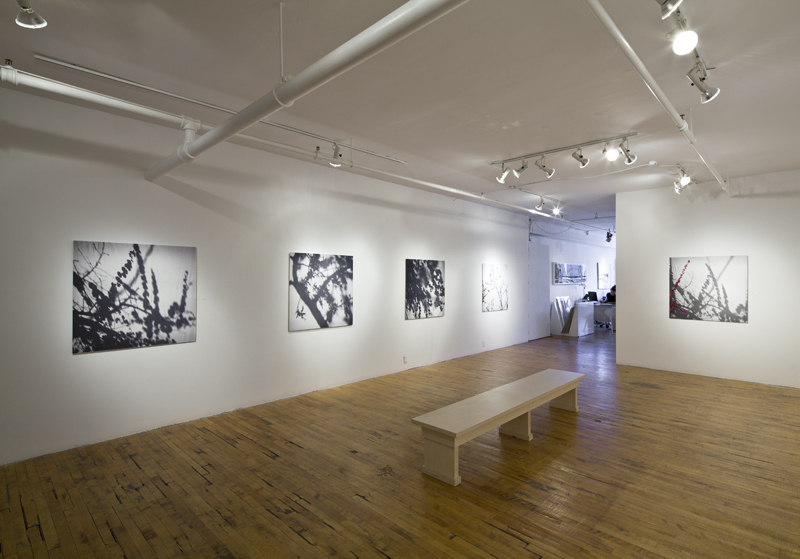 The Cuban and Russian Interiors series obviously come to mind, but also the Stome-Ache series, first showed at Galerie Trois Points in 2009, then at Patrick Mikhail Gallery in Ottawa and at the Museum of Contemporary Canadian Art in Toronto during the last edition of the CONTACT Photography Festival. 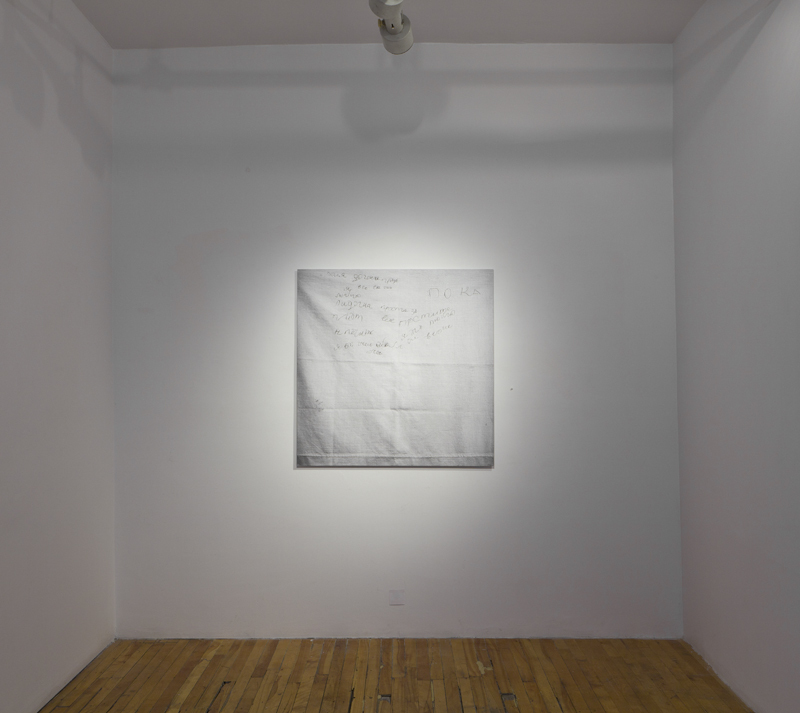 In that particular series, Chagaoutdinova stepped into self-representation in an exploration of the suffering that might have been felt by older members of her family while living in a tormented pre-Glasnost Soviet Union. In The Time Of Sakura series initiated from a very simple white bed sheet that becomes the canvas on which are drawn the shadows of the cherry blossom, sheet that also refers to her own private history since that her recently passed away grandmother wrote her very last words on her bed sheet, leaving this shadow behind. This new production is then as much homage to the strength of a woman as a praise of the ephemeral nature of life and the Japanese culture within those delicate details trying to give the full measure of the world and how it operates. 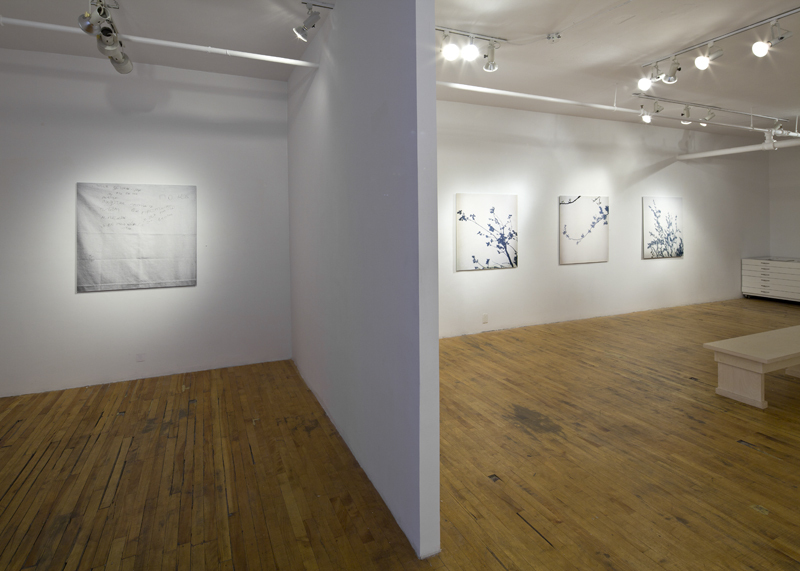 This most recent series is also a statement on photography in its relationship to painting. In this perspective, the white bed sheet relates to the painter white canvas while the shadows recall the old Asian engraving techniques. 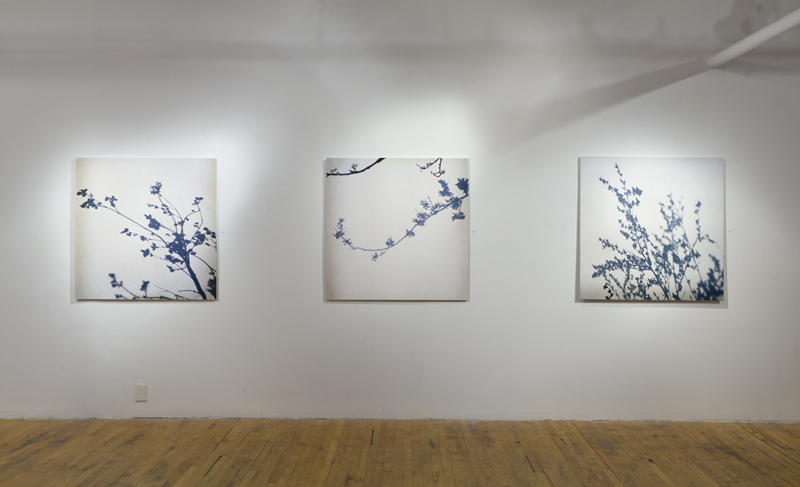 The artist draws into the Japanese culture and, with the delicacy of the details characterizing this body of work, tries to channel the viewer onto the world’s fullness. 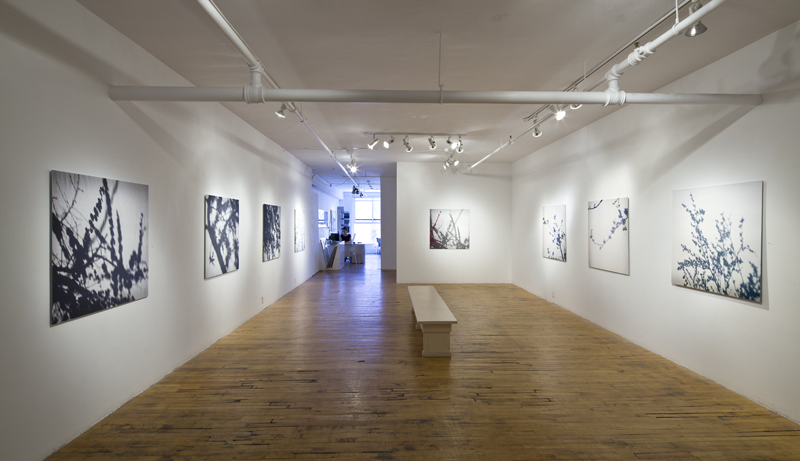 Chagaoutdinova has exhibited her work widely in Canada, Europe, Cuba and Russia. Her work can be found in the permanent collections of a number of national and international institutions including: Hydro Québec, the Far East Museum of Fine Art in Khabarovsk, Russia, and the Kebola Collection in Havana, Cuba, and the Musée National des beaux-arts du Québec.